Leah's Crafty Life: Happy HEARTS month! Ahhh, Happy February my friends!! One of my favorite months, not really because of Valentines day, but more about the HEART aspect. 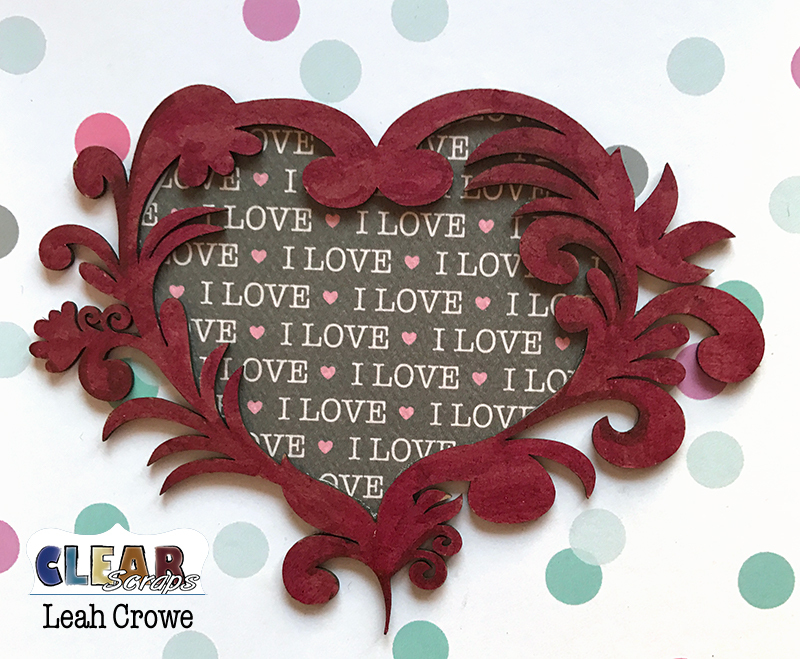 That's why I am excited to share this new heart layer stencil with you, it's quite cool! For this card, I used my colored pencils to color in the stencil area on the pattern paper. For the inside, I colored a gorgeous flourish chipboard heart embellishment and smacked it right dab in the middle of the card. My honey will probably be getting this cutie. I hope the start of the new month leaves you HAPPY and full of LOVE. Gorgeous! LOVING all the hearts!!!!!!!!!!!!!!!!!!!! !